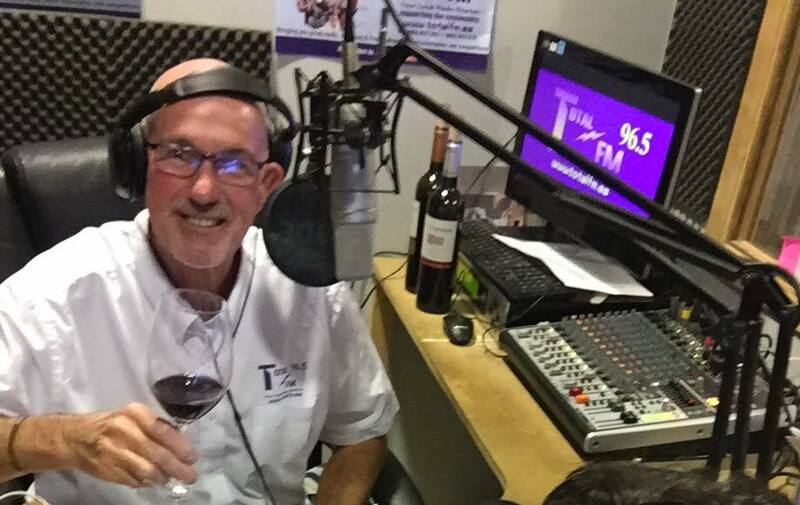 Closure of Total FM – a generous comment! Sad to hear you are losing your radio slot. Whatever you decide, as a survivor, you are bound to find something new and interesting. 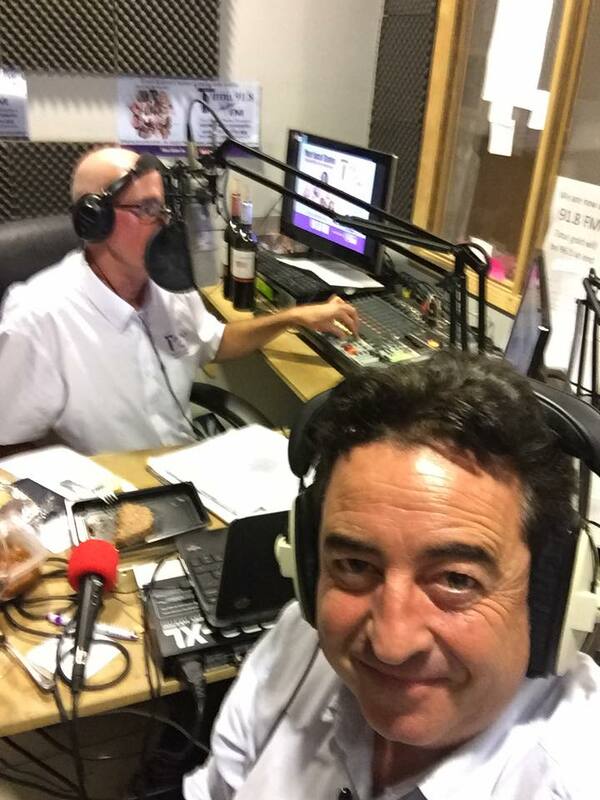 Thank you for your fun and informative past presentations of the Fine Wine & Gourmet Dine Programme, on Total FM. 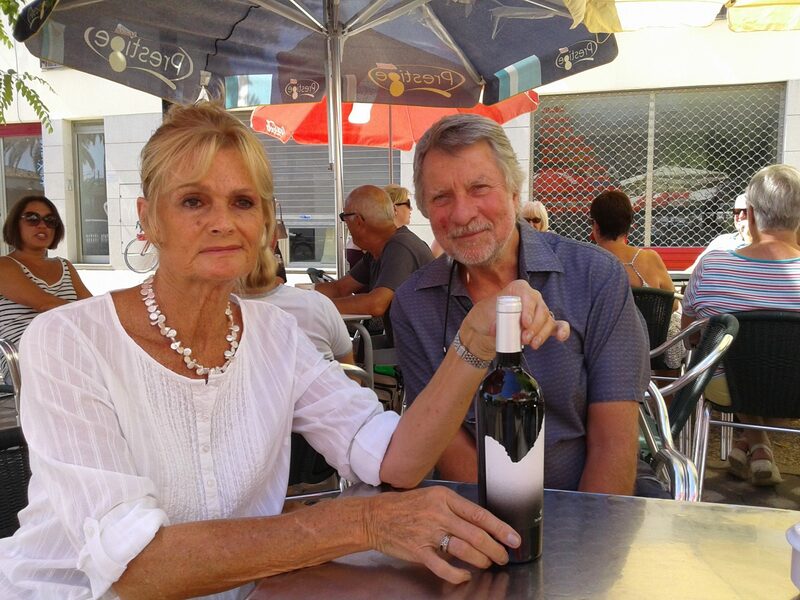 Sue and Roger, though accomplished wine makers themselves, they were delighted to receive this wine, from Bodegas Casa Boquera – studio guests on the Fine Wine & Gourmet Dine Programme! Sorry to hear of this as I enjoyed listening to your program [The Fine Wine & Gourmet Dine Programme] during my Sunday lunch. Media is always on the lookout for something that has a proven track record so I’m sure it won’t be too long before you’re up and running again. I was distressed to hear about the demise of Total FM, not least because I shall miss your radio show. I always found it meticulously researched and delivered with professionalism and humour. It was always a thoroughly good listen and I was surprised how much I learned on each occasion. You managed to invite such distinguished guests and each one appeared to be delighted to be part of your broadcast. I know that your fine wine and dining show was highly regarded in the wine world hence the queue of heads of bodegas wanting to appear with you. Where will I get my wine ‘fix’ in future? I and many others will miss your show very much. If there’s any chance that it ever be repeated elsewhere, please let me know. The concert and wine pairing evening last night was absolutely perfect. A nice location, wonderful wines (especially the Monastrell) excellent food but most of all the music. Super singing from Claire as well as terrific flute pieces. A perfect evening much appreciated by us and our guests from England. Very many thanks. We are pleased to have nothing in our diary for November 25 so please book us 2 places for the evening at Club Nautico (proper name of the restaurant is Bela Dama). I’ve said it before, and say this again: What is Claire Marie doing here – on the Costa Blanca coast !? while in London or New York she could perform for 5,000 at a time! Much Appreciated Feedback re Radio Programme! Heard you you on the radio yesterday for the first time. We thought it was very good. We have been on trips with you before & enjoyed the trip to Hoya de Cadenas. If you go there . . . . . . let us know. While we listened to you on the radio we were preparing a chicken Jalfrese. Could you advise us on the radio (or in a book) which red wine goes with different curries & different foods. We think this could be very popular. 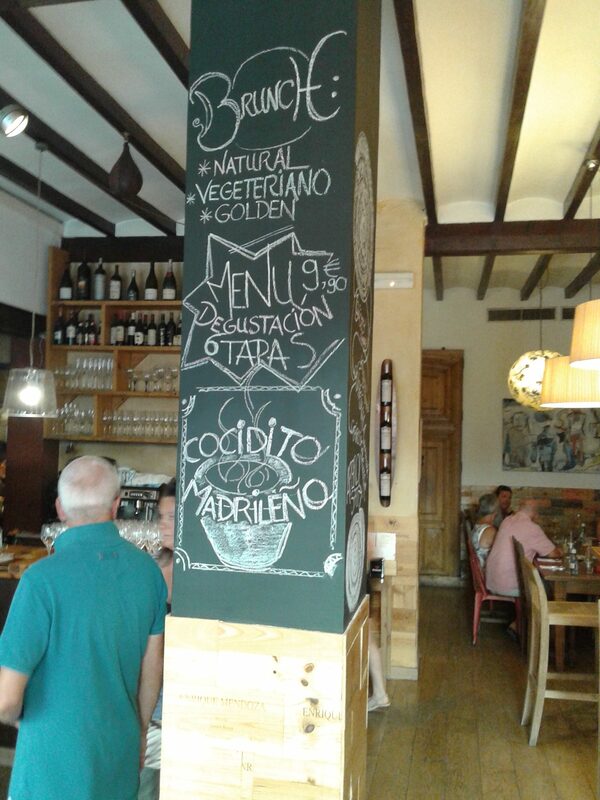 Balancines Wines in Javea’s excellent wine bar, La Trastienda! Last week we again took part in one of Colin's events. A wonderful tasting evening accompanied by some of the best small plated meals (the word "tapa" just doesn't do justice to the wonderful dishes served to us at La Trastienda in Javea's Old Town)! 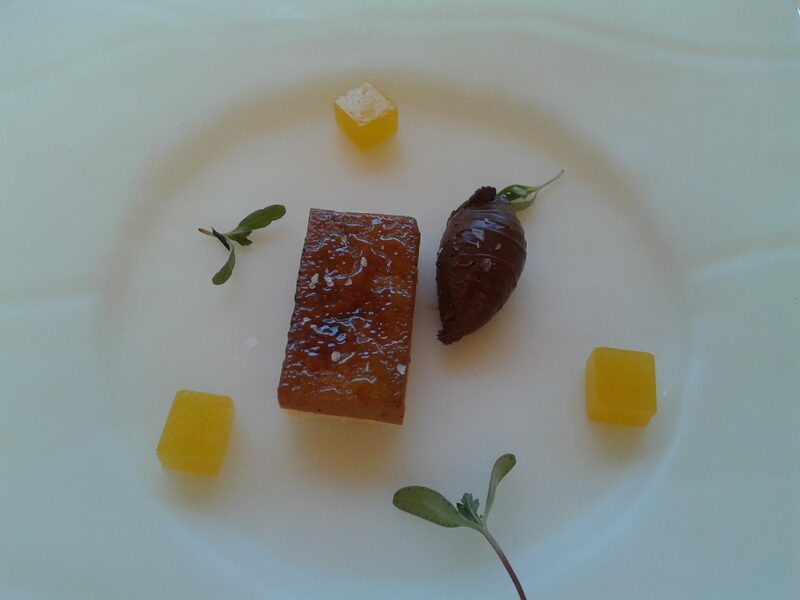 How Colin is able to construct packages like this, no fewer than 6 courses with several different wines of generous measure, all for 30€. It is a remarkable achievement! We look forward to attending more in the future. Thank you Colin and also a big thank you to the management and staff at La Trastienda. 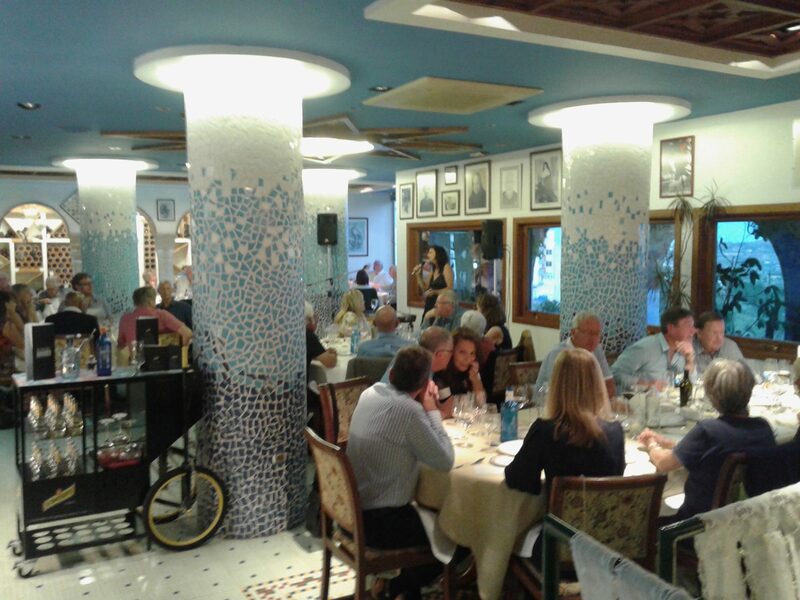 You excelled yourself once more by introducing us to Restaurante Puerto Blanco in Calpe, an inspired choice of venue. 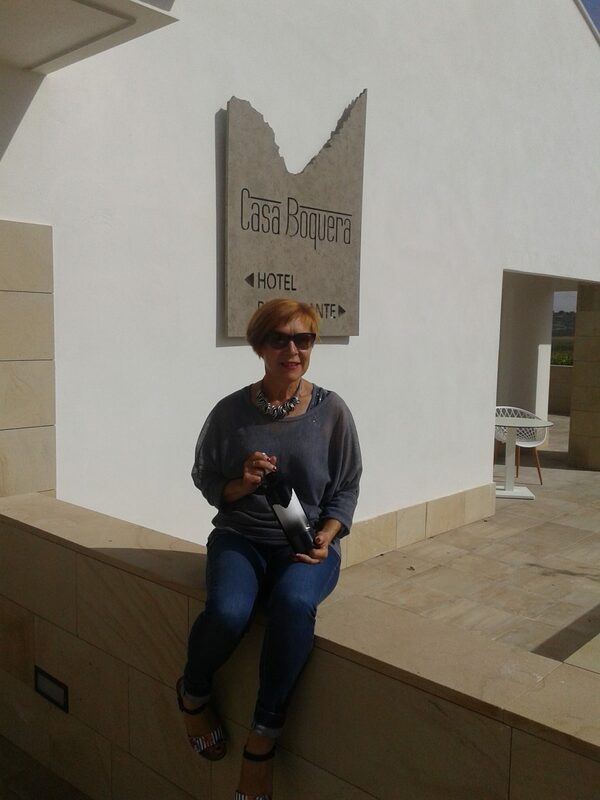 We both enjoyed fantastic food and impeccable service complemented by your excellent choices of wine from Bodegas Castaño. You even managed to persuade Raquel from that bodega to be part of the evening. Not only that but we were splendidly entertained by the lovely Claire-Marie who sang beautifully and gave us some haunting flute pieces. The whole evening was very special and your descriptions of each wine were educational and fun. Roll on your next wine and food pairing evening. What a wonderful evening you missed last night. From the moment we walked into the beautiful gardens of Puerto Blanco in Calpe we knew we were in for a treat. We were not to be disappointed. 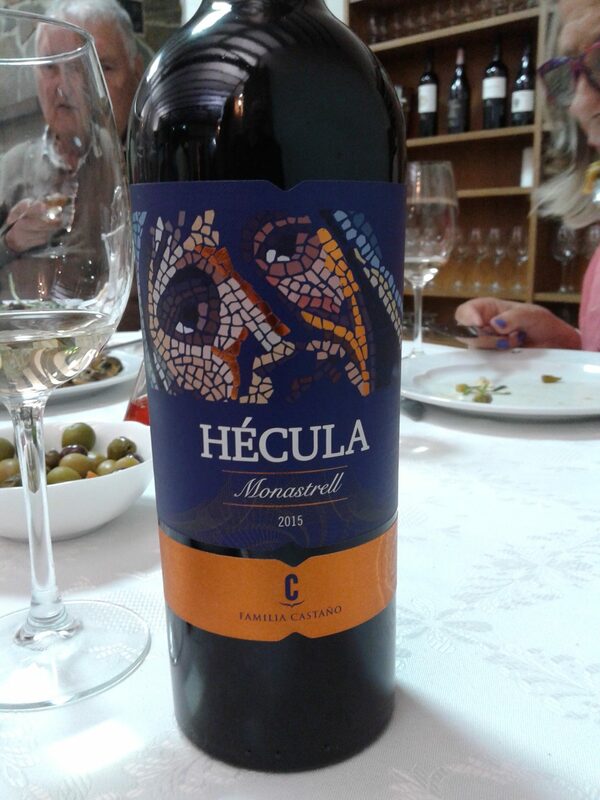 As always Colin presented a perfect match of wonderful wines, this time from Bodegas Castaño ……. with the delicious dishes provided by Philip the excellent chef at Puerto Blanco. 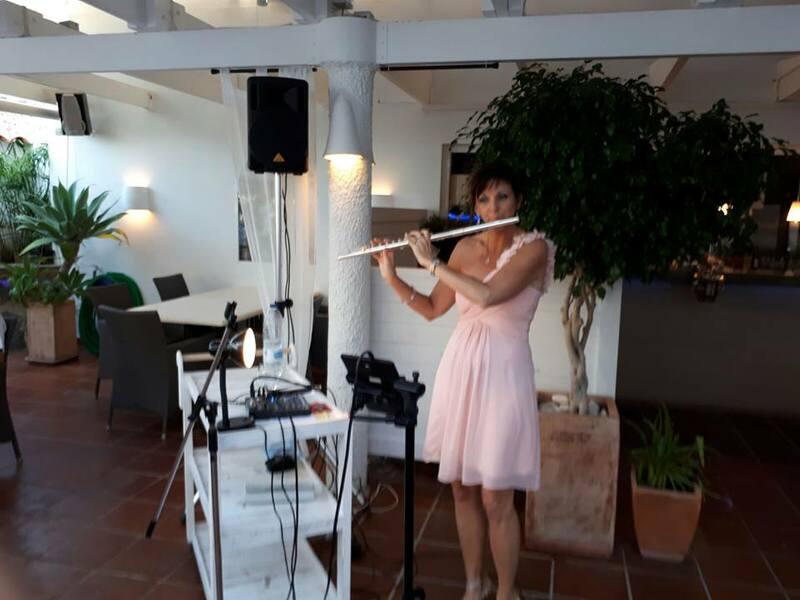 Claire-Marie’s music and beautiful voice were very much the icing on the cake and perfectly matched the ambience of a dreamy summer’s evening. The end of the evening was tinged with a little sadness as this was to be the last of the season’s tastings. It had been a wonderful year, tasting wines from all over Spain, and we of course had been fortunate enough to attend many of them. 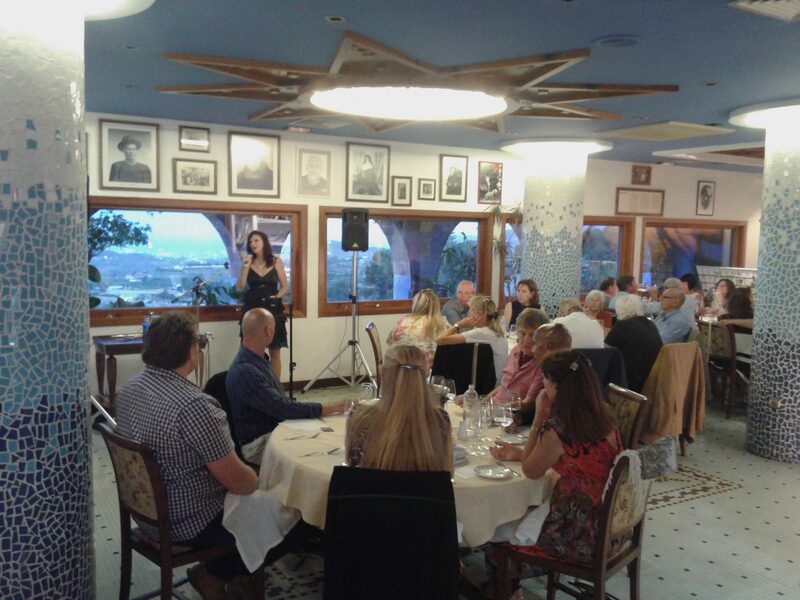 Casa Cantó to blend beautiful music, fine wine, and dinner too! I have just subscribed to Claire’s YouTube [Claire Marie Soprano] and will certainly share some of her songs/videos! Well done! Claire has a beautiful voice and I very much look forward to hearing it again, wherever I am! I hope you really enjoyed your birthday and that the celebrations went on all weekend – and are possibly still on-going! 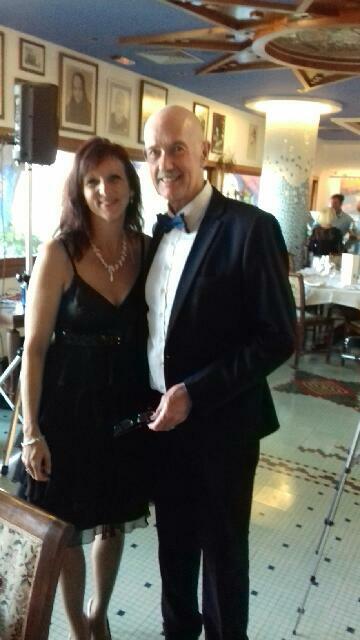 I so enjoyed the evening and although I wasn’t drinking the wine, I got such pleasure from everyone else’s enjoyment – only sorry James missed out! Karina has promised to open the ‘Botos de Barro [the generic name of the wine portfolio tasted] with him so he will at least get a little taste of it after all! I hope that we can sign up again for another event before too long and all very best wishes for a good summer! 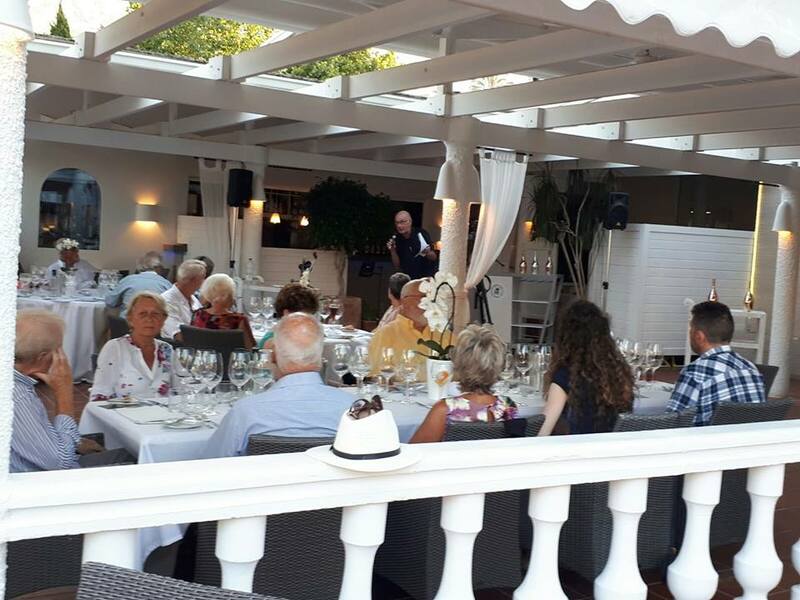 What a lovely occasion last evening at Casa Canto; a perfect setting, excellent wines and food and of course the wonderful entertainment provided by Claire. Would you add me to you email notifications list for future events and also my friend Geraldine whose email address is below mine as a cc. 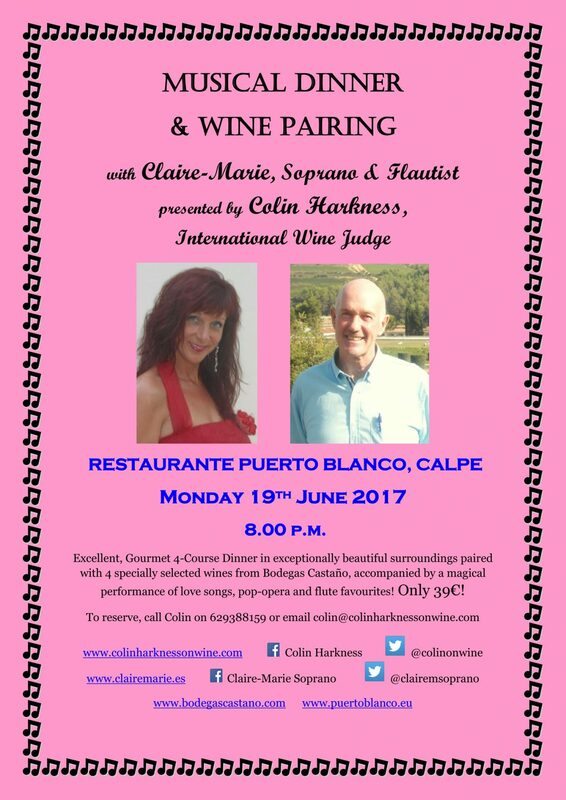 Musical Dinner with Paired Wines from Spanish Palate! Well, you really excelled at last night’s wine tasting. You exceeded even my high expectations. The choice of venue was inspired and Casa Canto rose to the occasion by producing superb food delivered with exemplary service; your choice of wines [www.spanishpalate.es] to accompany the dishes was brilliant to the extent that I found it impossible to determine which was my favourite and all this accompanied by the lovely Claire-Marie [www.clairemarie.es] entertaining us with a well-judged programme of numbers sung and played beautifully, hence the ecstatic applause. A wonderful evening which was much appreciated by the enthusiastic guests judging by the reactions. 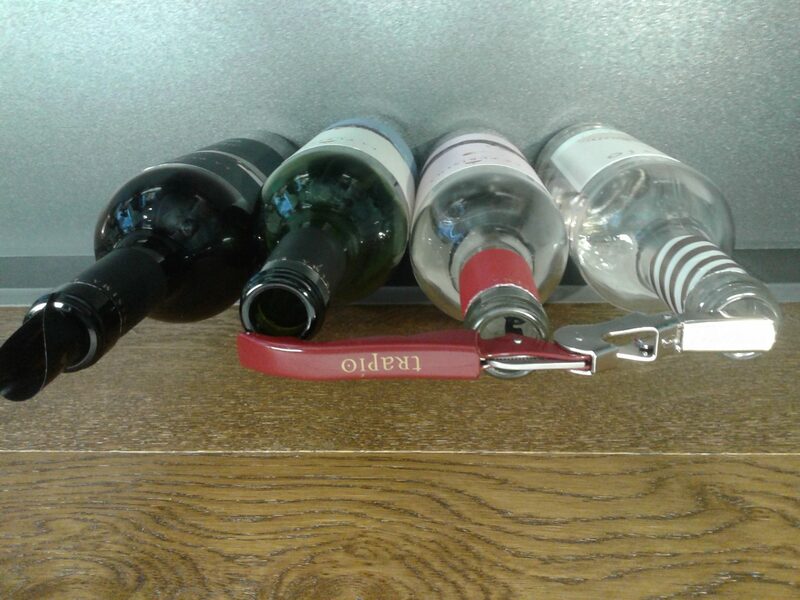 Roll on your next wine tasting. What a great trip. Well organised and made even more interesting by Colin’s knowledge (and interjections !). The four bodega visits offered something different : fab restaurant, vineyard visit, small start -up and a cooperative with a tasting of ‘raw’ wine from the huge steel tanks. Lovely hotel, I wish them every success. Thanks for a most enjoyable three days. Hola Colin, We and our wine arrived home safely today. A quick email to tell you how much we enjoyed the trip to Yecla. It was excellent and will be long-remembered. All the best, Janet & Joe.